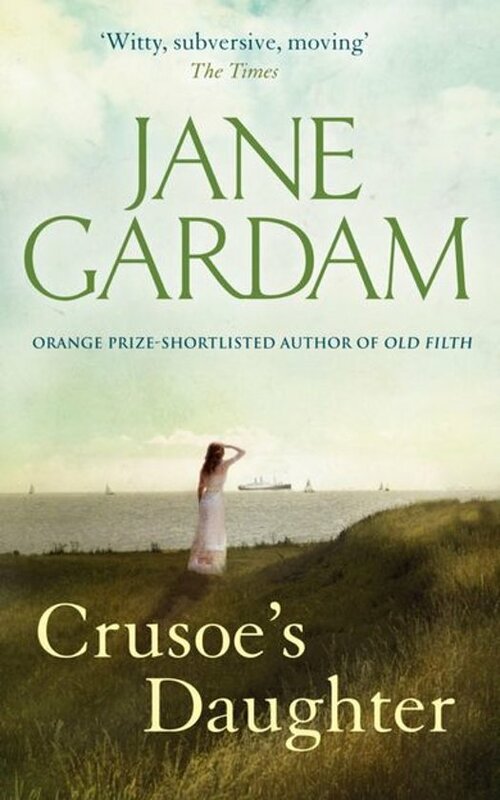 Jane Mary Gardam, OBE FRSL (born 11 July 1928) is an English writer of children's and adult fiction. She also writes reviews for The Spectator and The Telegraph, and writes for BBC radio. She lives in Kent, Wimbledon, and Yorkshire. She has won numerous literary awards, including the Whitbread Award twice. She was appointed Officer of the Order of the British Empire (OBE) in the 2009 New Year Honours. In 1904, when she was six, Polly Flint went to live with her two holy aunts at the yellow house by the marsh - so close to the sea that it seemed to toss like a ship, so isolated that she might have been marooned on an island. And there she stayed for eighty-one years, while the century raged around her, while lamplight and Victorian order became chaos and nuclear dread. Crusoe's Daughter, ambitious, moving and wholly original, is her story. Gardam is een heerlijke verhalenverteller. Je kruipt in dit verhaal en als je het uit hebt voel je je verweesd. Geniet! Het is een klassieke Jane Gardam, ondanks sommige spannende momenten een rustig kabbelend Engels verhaal. Wat ik vooral goed vind: fantasierijk, prachtig geschreven, de karakters, de omgeving.